Your new favorite calendar app is here. Completely rebuilt from the ground up, Horizon utilizes the latest technologies your iPhone offers to bring you an entirely new way to plan, and enjoy your calendar. 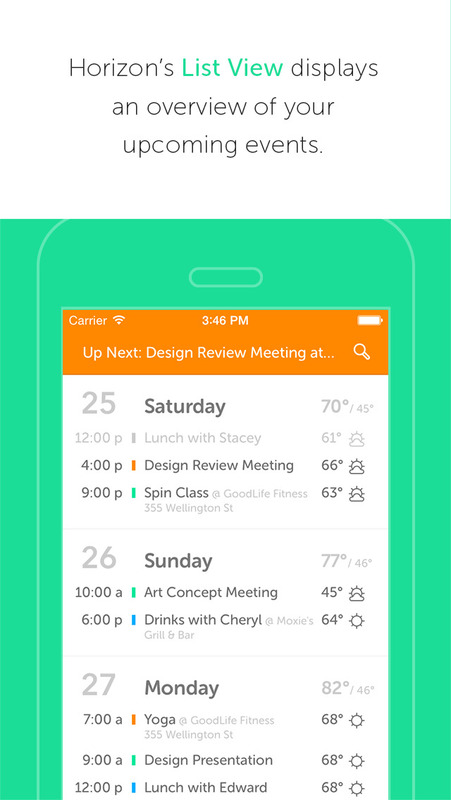 Horizon isn’t just another calendar app, it’s the ultimate tool for planning your life. – Natural Language event creation. – Full Weather Forecasts: Maybe the weather will be better at 3pm instead of 2pm? With Horizon you will know as you create your event. – Full Support for all iCloud, and CalDAV based calendars (like Google). – HorizonBar showing you your next important event. – Month view, with busyness indicators. – Weather Notifications: Get notifications of bad weather before your event. 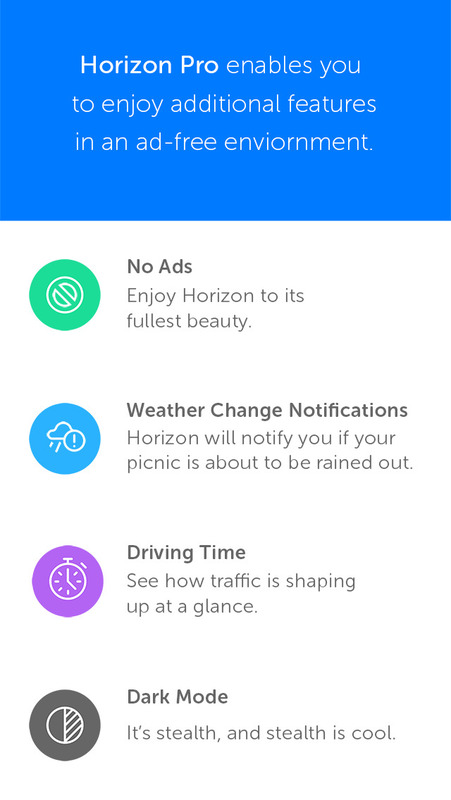 Horizon keeps an eye on the weather for you. – Dark mode for stealth. – Driving time, never get caught off guard. For more details, go to horizoncalendar.com or follow @horizon_app on Twitter.